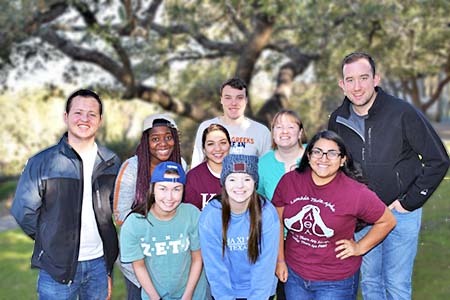 IMPACT is a 2-day leadership experience for Texas Greeks. It is a transformative (and free!) retreat only for sorority and fraternity members. While you're connecting with members from other chapters, you'll be gaining leadership skills to create positive change in your life, organization, and community. Applications will be available November 5th at this link. IMPACT is a two-day, two-night retreat that focuses on your personal and leadership development. IMPACT includes experiential activities, interactive presentations, and both large- and small-group sessions that flow together into a unified, community building experience. Our goal is for you to have a transformative experience that will enable you to be an effective authentic leader in the community. How has the attendance requirement changed since last year? This year, we are specifically asking that Chapter Presidents attend the retreat. The intention behind this is to create space for the highest leadership in our community to gather to build community and deliver the biggest impact back to the 40 acres. What do we do during IMPACT? Meet other IMPACT attendees and get to know your small group facilitators! We will begin the retreat with dinner, team builders, and setting expectations for the weekend. Get ready to dive deep into what it means to be a Greek leader. In both small and large groups, we will take a critical look at our community. Through discussion, hands-on activities, videos, and debate well expand our ideas of leadership in our community. On our last morning, we will take time to reflect on what we've learned and experienced. But most importantly we will make plans of how to bring what we have learned back to our chapters and councils to create positive change through our new friendships and connections. Each fraternity and sorority chapter is required to register at least one member for this event. This year, we are asking for the Chapter President to attend unless otherwise approved by the SFL office. Based on the registration list and responses, if your member is selected to attend, he or she must be your chapter's representative to receive Good Standing credit. Chapter Presidents should register for the IMPACT retreat. Please reach out to Grace Bova for any questions or concerns about the attendance requirement at grace.bova@austin.utexas.edu. How much does IMPACT cost to attend? There is no cost to attend! IMPACT is fully funded through a generous donor's contribution to Sorority and Fraternity Life. Your members will not need to cover any costs including food.